Do you wanna laugh your worries away? 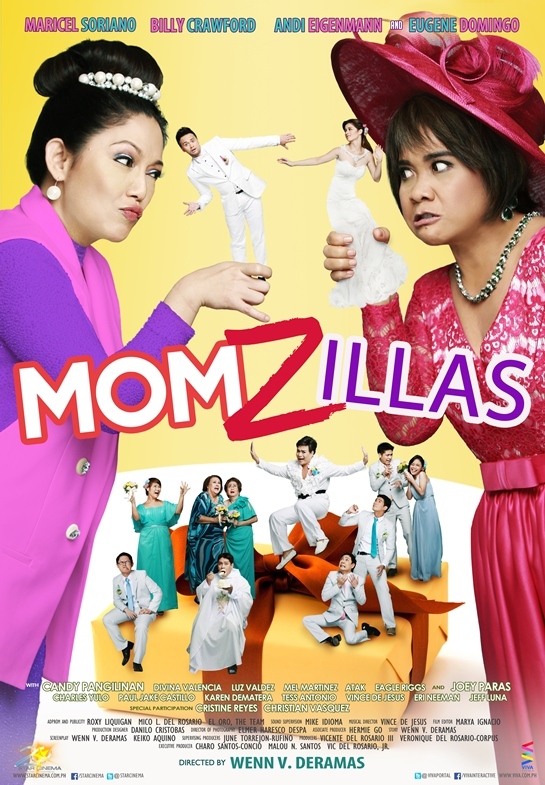 Star Cinema's "Momzillas" hits the theaters this September 18. Starring the Diamond Star Maricel Soriano and Rough Diamond Star Eugene Domingo, these two comedy hitmakers will give you the laugh trip that you need. This newest masterpiece is brought to us by the award-winning director, Wenn V. Deramas. The cast of Momzillas also include Joey Paras, Candy Pangilinan, Atak, Paul Jake Castillo, Mel Martinez, Luz Valdez, Eagle Riggs and Divina Valencia. This is also part of Star Cinema's 20th Anniversary celebration, co-produced by Viva Films. Are you excited to see this? My officemate and I will definitely be watching this film. This will sure take away all the stress from the office. For the latest updates and promos about Momzillas, visit www.starcinema.com.ph or Like their Facebook Page at http://facebook.com/StarCinema.